I would like to introduce Sue Bailey as the latest member of the Decorfolia team... Sue joined us back in September as office administrator to take over some of Pats work now she is semi retired. "I can't believe my luck – I'm working in idyllic surroundings with a friendly team who all have a passion for making fabulous plants look stunning! Some of you may have already had a call or email from me. I'll be working mostly in the office supporting the staff, and communicating with you, our valuable customers. However, I look forward to getting some 1st-hand experience out on the road and meeting some of you soon!" Sue. As many of you know the money raised from the sale of your pre-owned office orchid displays goes to charity. 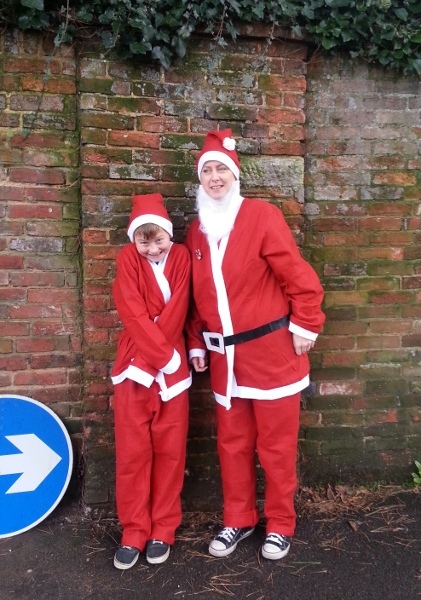 This time Sue generously decided to join the 'Santa Dash', a 3km route down Lymington High Street along with her son Finlay and over one thousand other Father Christmases, all dressed in red with appropriate beards... 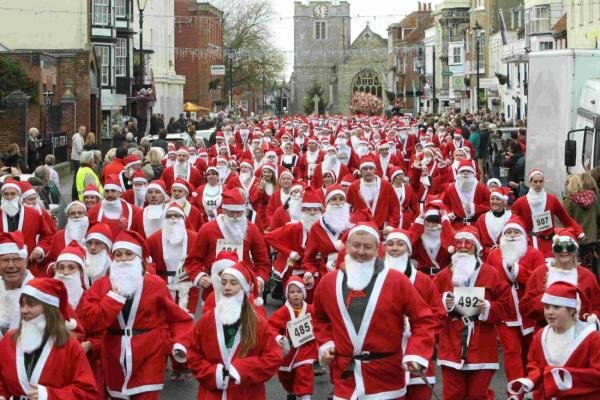 The fund raisers of all ages take part in this annual run/amble to raise much needed funds for Oakhaven Hospice. Thanks to your generosity we have added £270 to their fund. 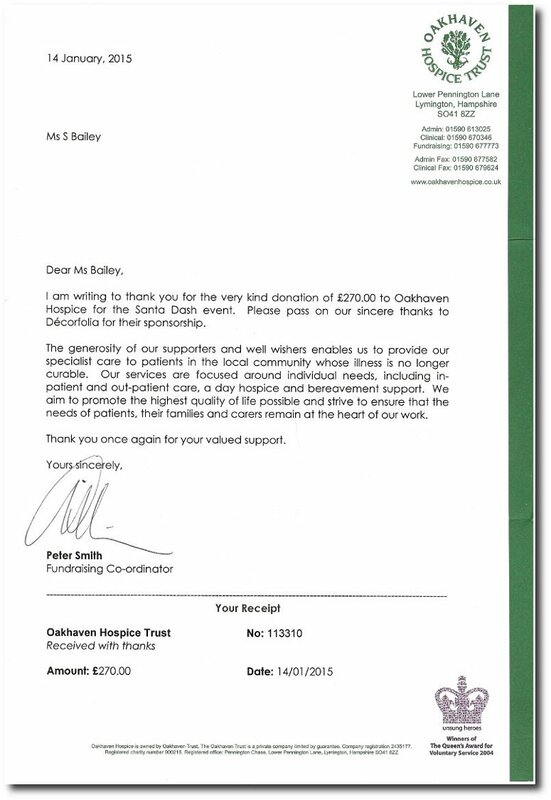 Thank you Sue and all the Decorfolia customers that have helped to raise this money.